Our philosophy is that every brain injury is unique and the individual who has suffered this injury has a unique blend of strengths and limitations which he/she brings to the rehabilitation environment. The St. Lawrence Rehabilitation Center brain injury program offers the benefits of a large metropolitan rehab center partnered with an extremely personalized approach to therapy. When someone suffers a brain injury it affects the entire family. While the road to recovery can be challenging, the inpatient brain injury unit helps put the lives of their patients back into focus once more. This secure 8 bed unit provides a safe, low stimulation environment to aid in the recovery of the brain injured patient. The purpose of the BIR Unit is to provide the most comprehensive rehabilitation services for the brain-injured adult. Our philosophy is that every brain injury is unique and the individual who has suffered this injury has a unique blend of strengths and limitations which he/she brings to the rehabilitation environment. 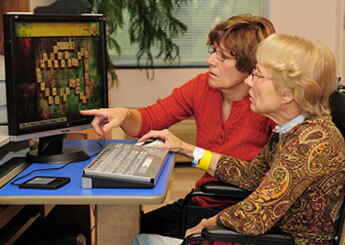 All of our efforts are aimed at increasing the person's strengths and reducing his/her impairments. Philosophically, we believe the best way to help is to be creative, consistent, and coordinated in all of our efforts. We also believe that ultimately it is more important how an individual functions in their own home environment than how they function in a hospital environment. We seek to tailor an individual's rehabilitation program to their personal goals and their personal environment.